DLK’s Submental Fat Treatment is a non-surgical, non-invasive procedure which helps to improve the contour and appearance of submental fat, or the double chin. Administered like other injectable products, this treatment uses a safe and clinically tested drug that works to reduce and permanently eliminate fat by gently breaking down the localized fat under the chin. This treatment is the ideal procedure for patients looking to reduce fat under the chin to help redefine the jawline and slim the chin without surgery. 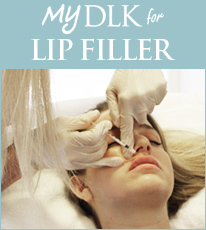 THE TREATMENT: DLK’s Submental Fat Treatment takes place in a medically-supervised clinic after a consultation. A customized treatment program will be developed to address each patient’s individual concerns. The treatment consists of injecting a synthetic form of Deoxycholic acid (a naturally occurring substance in our bodies) into the submental layer of the chin. Deoxycholic acid destroys fat cells and helps absorb fat by breaking the cell membrane of fat cells. This allows fatty acids to be released and naturally processed and eliminated by the body. A very fine needle is used to perform this treatment, which takes approximately 30 minutes with minimal recovery and little-to-no downtime. Swelling will occur after the treatment which usually lasts 48 hours post-treatment. Patients may experience numbness or tenderness, or even a mixture of both under the chin, which can last up to 2 months. PRE-TREATMENT: It is recommended to discontinue aspirin, aspirin-like products, non-steroidal anti-inflammatories, fish oils, St. John’s Wort, high doses of Vitamin E, and alcohol for a few days before your treatment to minimize bruising and swelling. POST-CARE: Treated areas may be slightly swollen and you will experience numbness following the procedure, but these effects generally disappear within 7 days. The possible side-effects you may experience from this treatment are namely bruising and swelling. You will be able to return to work and regular activities immediately following the treatment but you must avoid strenuous exercise activity for 2-3 days as this may increase bruising and prolong any swelling. You may consider wearing a scarf to cover the area. You should sleep with your head elevated to reduce swelling. THE RESULTS: DLK’s Submental Fat Treatment has been clinically studied and proven and has an excellent safety record. A series of 2-4 treatments will be performed approximately every 4 weeks and on average 2-6 sessions are needed to see optimal results. It is recommended that the patient return two weeks after treatment for a follow-up appointment to ensure that the results are optimal. Results will also be photographically monitored.